Modern Day Midwives blogger Deborah McBain explains that while science allows us to predict complications, compassion helps us see past them. 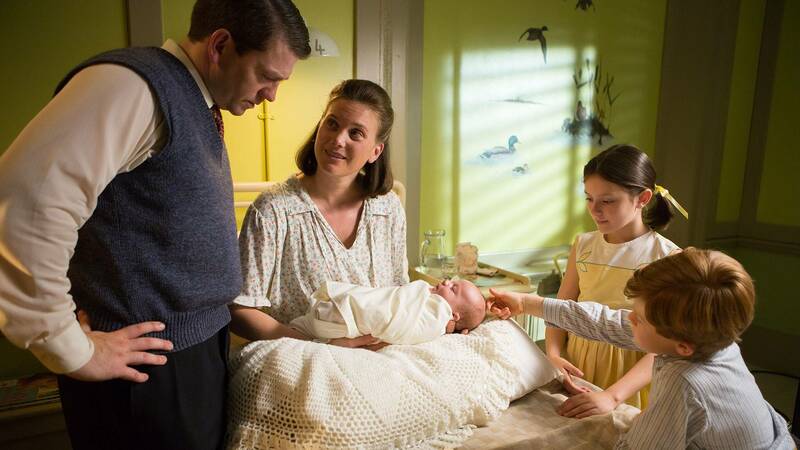 This Call The Midwife episode takes me back to a time different than today but familiar. In spring of 1961 I was just a 9-year-old girl. President John F. Kennedy had just been inaugurated that January. He started the Peace Corp in that first year of his presidency. The Beatles, still largely unknown, had just started performing in a Liverpool nightclub in 1961. A young Queen Elizabeth had been Britain’s monarch for 9 years. In 1961 the Cold War rose to a frightening crescendo with the Bay of Pigs Cuban Crisis and the building of the Berlin Wall. But this danger was only a momentary distraction in the magical world of a 9-year-old. The event I remember most was the launch of the first man in space, Yuri Gagarin, by the Soviet Union; followed by American Allan Sheppard a few weeks later. The Space Race outshone the Cold War and triggered the imaginations of young aspiring astronauts throughout the world. The mood of the moment was summed up at the end of the episode this way: The moon was in the reach of man ... all medicine was good … science was all-powerful. And there lies the set up for the Thalidomide tragedy. At this time it was believed that drugs could not cross the placental barrier and therefore could not cause harm; wrong and wrong. Today drugs are strictly regulated and the United States. FDA has a rating system to help care providers determine risk of medications taken during pregnancy and lactation. Today, we are not so naïve. Anti-vaxxers and other suspicious citizens campaign continuously on social media to expose the so-called conspiracies of big pharma and medicine. I will not debate the merit of their claims but history sheds light on why suspicions exist. In 1961—and even in 1994 when I was a midwife student—routine ultrasound was not done during pregnancy. If ultrasounds had been done, the deformed limbs of phocomelia could have been diagnosed in the womb. It's also likely the cleft lip and cleft palate of a baby I helped deliver as a student would have been diagnosed as well. Diagnosis does not change the outcome, but it does allow parents to prepare. Granted, a cleft lip/palate is not phocomelia but it is also not the perfect baby that every mother dreams of. This new mother took my calm cue and accepted her new baby with little distress and much courage. As Rhoda Mullucks told her imperfect baby with the beautiful face, “You’re mine and I’m not bailing on you." Today an ultrasound fetal survey is a routine part of prenatal care. Deformities are rarely a surprise at birth. This allows for preparation, yes; but alas the abnormality becomes the focus of the pregnancy, not the beautiful face or the perfect little hands and feet. That is why medicine and science needs a midwife’s touch in 1961, 1994 and now. Deborah McBain (CNM, MS, BSN, RN) Deborah McBain (CNM, MS, BSN, RN) is a nurse-midwife who has practiced in Metro Detroit for nearly 20 years. McBain received her Bachelor’s Degree in Nursing Science from Wayne State University-Detroit, Master’s Degree from the Case Western University-Cleveland and midwifery education through Frontier Nursing Service.